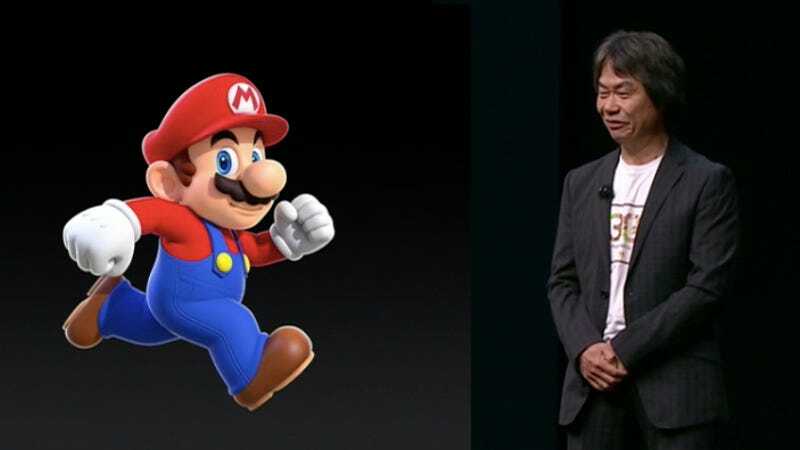 Nintendo legend Shigeru Miyamoto appeared on stage at today’s Apple Event to announce the introduction of Super Mario to the iPhone. Super Mario Run appears to be a Temple Run-style platform game, Nintendo’s first proper game that doesn’t run on one of its console platforms. The company previously announced plans for iOS games back in April. Going with a runner makes sense for Nintendo. It’s known for games that play very well and have great controls, and it’s traditional platformers just do not transfer well to a touch screen, as anyone who has used a SNES or NES emulator can attest. Super Mario Run will be available by the holiday season of 2016, but no date, or specific pricing has been made available.